One thing that differentiates an excellent marketing agency from a good one is the kind of Search Engine Optimization (SEO) solutions offered by them. It is no secret that every company wants their website to rank high on search engine pages. Marketing agencies all over the world offer them SEO services; however, what most agencies lack is the ability to audit the client’s existing website and provide solutions to optimize it. 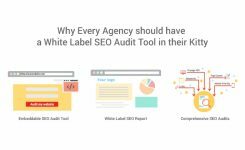 There are two ways to Audit the SEO of your client’s website – you can build your own SEO audit tool, or you can use white label SEO tools to audit them. Now, building your own SEO audit tool requires a lot of time, money, and technical resources. 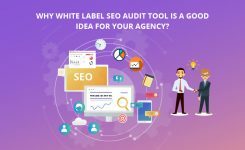 If you want to remain ahead of your competitor, then the best way to begin SEO audits is by using white label SEO Audit Tool. 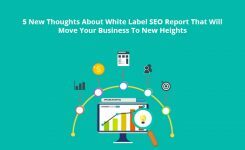 In this article, we are going to discuss all that you as an owner of your marketing agency need to know about white label SEO. Let us begin with the most basic question – what is white label SEO? If you have been to a local shop, you may have observed the attendants of the shop emptying content of food items from a large packet into various small packets. These small packets will have the label of the shop and not of the manufacturer who made it. The shopkeeper charges the customer according to the quantity they buy. White label SEO works on the same premise. 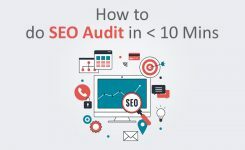 Several SEO audit tools such as RoboAuditor, Woorank, Raven, and Moz audit the SEO of a website and provide an in-depth SEO audit report as shown below. These tools analyze the website on several parameters such as keywords, page level SEO score, competitor analysis, page level speed score, etc. This helps you and your client to understand the pain points and work towards optimizing the website. Where does white label SEO appear in the picture? Well, by using white label SEO, you are using the same audit tools but in your company’s name. So, if you have used RoboAuditor to audit your client’s website, you can white label it and add your name to it. 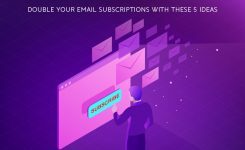 This way, you are not only saving time and efforts on creating a new tool but are also able to help your client better. How is it beneficial to your business? Firstly, it helps in building loyalty among your clients. 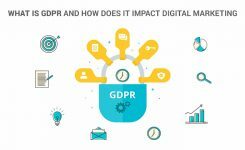 It assures them that they will receive an end-to-end solution from your organization about SEO Audits and optimization. By providing reliable SEO services, your agency is also assured of business, as your client will not look for other agencies to do their SEO. SEO requires in-depth knowledge, and it cannot be acquired in a short-term. Not to forget, the constant changes in search engine algorithms such as Google Panda and Google Penguin can only make the matter worse. It is at this stage when White label SEO bridges the knowledge gap and helps you in providing SEO services to your client like a pro. So, your specialization is in web development and not SEO. Well, you do not have to worry about not having specialization in SEO. White label SEO allows you to focus on your core specialization even as you offer SEO services to the client. In today’s world where everything is digital, the services that you offer are integrated with each other. So, if your business involves developing the website, you can add value to the services you offer by adding more services such as SEO audits. So, essentially white label SEO helps you in building a one-stop solution for your client. Just as you offer services to help your client get leads through their marketing efforts, white label SEO helps you get leads to your business by giving you an opportunity to provide credible SEO information to your clients and help them scale their business. Several companies provide white label SEO services – some are genuine, some are moneymaking gimmicks. Here are a few questions that you must ask the company before collaborating with them. 1. How long will it take my client to rank on the first page? SEO is a long-term strategy. It is not possible to rank your customer on the first page within 30 or 60 days. So, if the company promises to show you results within a short span, reconsider it. Bringing your customer’s website on the first page is a collaborative effort that requires a mix of digital marketing and content marketing strategies. It cannot be done through SEO audits alone. Also, be wary of companies that guarantee SEO rankings. There cannot be any guarantee of getting high SEO rankings; it is a continuous process. 2. How do you respond to changes in Google algorithms? 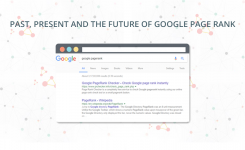 Google continually makes changes in its search engine algorithms. An excellent white label SEO Company will be aware of the algorithms and make changes in its approach to help you provide correct analysis to your client. 3. What is your method of measuring progress and results? While improved rankings are the answer you may want to hear, the focus should be on the process involved in improving the rankings than on using not-so-worthy keywords or worthless blog posts to improve the rankings. Always search for a company that has a consultative approach and helps you to improve your client’s website ranking more organically. 4. What kind of training and resources do you offer? Ideally, the company should provide you with webinars or personal training to help you gain insights on how the tool is used. If the company does not share the knowledge that you think is necessary for you to be able to deliver adequate service to your client, do not engage with them. 5. What kind of reporting do you provide? Reporting is the most critical part of selecting the right company. 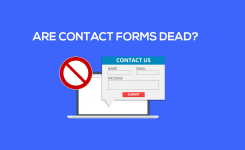 Ask the company to send you a sample report and engage with them in a discussion to see what kind of value-add can they provide to your client. Ensure that you get high-quality reports and statistics that show you the progress of your client clearly. Finding the right partner is crucial for the Growth of your business, so take time to analyze the services offered by these companies and ask them the above questions before selecting the right one.